Corporation Bank came under the purview of PCA framework in December, 2017. 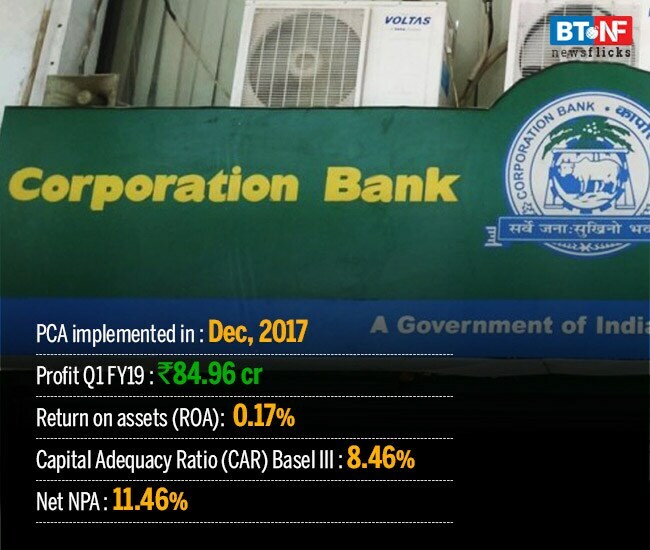 Corporation Bank has displayed improved performance under the PCA plan. It posted a profit of Rs 84.96 crores in Q1 FY19. Return on assets was at 0.17 per cent, indicating future profit potential. Capital Adequacy Ratio (CAR) as per Basel III norms stood at 8.46 per cent. However it lacked on the non-performing asset front as its NPA saw rise of 0.73 per cent and stood at 11.46 per cent.